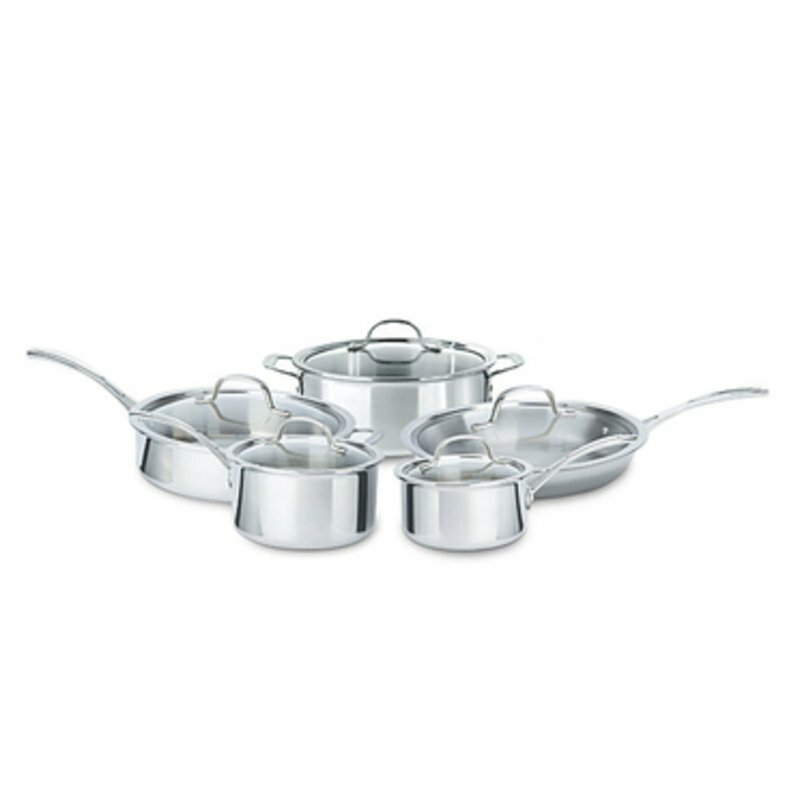 Classically styled with a polished stainless steel exterior and a satin finished interior, Tri-Ply Stainless Steel cookware is designed with three layers to ensure even, consistent heating. A heavy-gauge aluminum core surrounded by stainless steel provides excellent heat conduction for browning and enhanced control of the cooking process. Tri-ply stainless combines the beauty of stainless steel with the superior performance of aluminum. Three layers deliver even, consistent heating.